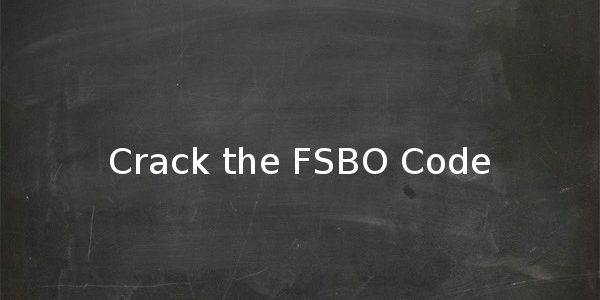 99% of the content online will tell you why you’re a sucker for even thinking about selling your house FSBO. I’ll break down how you can prove them wrong and come out a winner. According to the National Association of Realtors, nearly 90% of buyers use the internet to find their next home. Luckily, we can use the internet just as good as anyone else, which means we have as good a shot as anyone of finding a buyer for our house–it’s simply a matter of knowing how to get in front of the right people. As a marketer, I grew frustrated hearing the stories of how FSBO sellers struggled to get interest on their homes. I looked all over the internet, and I all could find was content written by real estate agents that discouraged people from even trying to sell their own house. That’s when I knew I could help. There are some common mistakes that people make over and over again when they list their house FSBO–and I will address them all in this guide. When you reach the end of this post, you’ll know which channels you need your listing on, specific techniques to maximize phone calls from real buyers, and land a buyer. The road to selling your own house is not always a cake walk. We need you to get your mind in the right frame and you’ll have a much better success rate. Selling your house yourself takes time. How much time it will take you depends on a number of factors, but it will certainly be more time that it would have taken you to sell it with the help of a real estate agent. Think about the time spent as you paying yourself to sell your own house. The commission that you would have spent is your payment to yourself. The hourly breakdown varies, but you’ll want to budget out around 10 hours per week to take care of the marketing and showing of the house. If you can make more money in the time you will spend doing something else (like running a business or working another job), then you should list with an agent. There is a theory that FSBOs have a hard time selling their own house because they have personal attachment to it. They will tend to overvalue it because they own it. This is actually true and it happens to everyone. Once you own something, you value it more than you did just before you owned it. Psychologist Richard Thaler came up with this theory in the 1970’s and later confirmed it in the 90’s with a study of college students. The study showed that students that already owned the item in the study valued it a median price of $7.12, while the other groups of “non owners” actually valued the mug at less than half of that. There are a number of human behavior traits that attempt to explain this phenomenon, but for our purposes we just need to know that it exists and is widespread. Don’t think you’re a special case and you’re somehow immune to this. The same principal is why people have a hard time getting rid of all the clutter they have around the house too. And you’ll need to get rid of all the junk to stage the house properly. Getting a handle on personal attachment with the house itself and the extra belongings inside is going to be crucial to selling it. You’ve made hundreds of memories in your house, if you sit back now and think they all come rushing back. When thinking about memories and possessions, I am reminded of a post from the minimalist about letting go. In the post Josh talks about how he was tasked with cleaning out his mom’s apartment after she passed away. At first, Josh wanted to hold on to every item, because those items equated to memories and throwing those items away meant throwing the memories away. He eventually came to the realization that we are more than our possessions and our memories are within us. All the memories you’ve created within your home are not for sale along with the home. You get to keep them when you leave, so don’t factor them into the price! Once we’ve got your mind in the right frame to start, we can move on to the single biggest factor in your quest to sell your own home: pricing the house. One of the hardest things for for sale by owner sellers to do is price their house properly. Beyond the psychological hurdles I’ve mentioned, there is also the simple fact that the general public has a harder time getting comparable sale data than an MLS member agent has. I’m sure you’ve read all the scary articles about how for sale by owner sales tend to bring in less than their agent-listed counterparts. All of these articles warn that you’ll end leaving more money on the table by selling it yourself and pricing the house wrong than listing with an agent and just paying commission. They aren’t totally wrong–many sellers do price their house wrong because they haven’t done a good enough job on the market research phase. But it doesn’t have to be that way. You can do it right if you are willing to dedicate a little time to it and you know where to look. This is the easiest method for you, but it will cost you around $300 to get it priced. This is a good option if you’re totally unsure about it or just don’t want to go through the hassle of getting it done. If you do decide to go the route of hiring an appraiser, just keep in mind that two perfectly honest and legitimate appraisers could come up with two different values for you house–so there is some room for interpretation, even when hiring a pro. Head over to www.realtor.com and click on the “Just Sold” tab to search for properties that have recently sold in your area. Type in your location. Try to be as specific as you can to get the most accurate results. Add in filters like bedroom and bathroom numbers as well as square footage and lot size. Once you have the list of similar properties, take a look and try to find 3 in the list that are as closely related (geographically and physically) to your current house. These 3 will form the basis for your price. The next step will be to decide if you should shoot for the upper part of that range, or the mid-lower part. This all depends on supply and demand of your local area and the trajectory of the prices. A useful tool for this stage is the Zillow Zestimate. There is a lot of controversy around the accuracy of the tool, and it can at times be dramatically wrong. But it’s free and it can give you an idea of the trajectory of prices in your area–and that is just as important to know. Head over to https://www.zillow.com/how-much-is-my-home-worth rel=”nofollow”/ and enter in the address of your house. Take a look at the graph below the description to see a the price over the last few years. Is the trajectory showing the value going up over time, remaining flat or going down? The Zestimate itself can be a useful number, but it’s accuracy can be off. The trajectory is almost never wrong, though–given that Zillow has access to so much pricing data to base their trends on. Bigger Pockets is a real estate investors website and is home to thousands of investors from all over the United States. Head over to the forum and ask the members about their opinion on your local housing market. Before posting, be sure to search for the question to see if someone else has recently asked the same question in the forum. Investors are so plugged in to their local markets that their opinion on trajectory is valuable. If they feel like it’s getting harder and harder to get a good bargain, that’s great for you. Once you’ve gotten a feel for the local market conditions, it’s time to go back to those 3 comparable houses you picked out in the first part of your research. If things are hot in your area, shoot for the top of the range with confidence. You shouldn’t feel like you have to lowball your price just to be competitive without the help of the MLS. Just price the house appropriately. You should keep in mind how searchers will be looking for your house. If you price your house at $205K for example, you may be missing out on a ton of potential buyers that are using the “under $200K” filter in searches on Zillow and Realtor. Keep the searcher in mind when setting the price. Setting the right price gets you web hits, but the listing will be the thing that converts the web visitors into showings–and showings are what turn into offers and sales. One of the world’s most famous copywriters, Gary Halbert, was able to sell millions of dollars of product on just his copywriting alone. It really is the most underrated aspect of selling anything online today. Gary has a formula for writing copy that you can emulate and instantly make your listing description 10x better with minimal effort. Spend a ton of time on the fact sheet and make sure to throw in all the facts, both positive and negative. If you put in the effort to create a really thorough fact sheet ( we’re talking at least 6-8 pages of facts) the rest of the process will be a breeze. We talk about ways to make the offer sweeter in the course, but the main takeaway is that you need to think about how to make the offer as compelling as possible BEYOND just the price. You need to make it tight and put it in the listing. 90% of buyers start their search for a home on the internet. This gigantic pool of people go to a handful of the most popular websites to look at available inventory. The good news is you can get on almost all of them for free or very cheaply. So the whole notion that you won’t get the proper “exposure” by selling the house yourself goes right out the window. Here are the most popular sites for buyers that you need to be on to be successful. Zillow is the #1 real estate website in the world. Millions of buyers come to the website every month to find a house. Zillow allows people selling their own homes to list it on their website for free and it gets syndicated on their sister site Trulia. Together, this will give you the most exposure to home buyers on the internet in a single shot. Zillow allows FSBOs to post unlimited photos and a video, so take advantage of the available media space. Click here to get started with a posting on Zillow. Craigslist is the world’s biggest classifieds site, boasting billions or visitors per month–some portion of which are looking for housing. Now CL is full of “tire kickers” and possibly some crazies, but people have had amazing success with the platform in the past. Andrea Dekker sold her own house in 3 days using Craigslist! The key with CL is to be sure to add the appropriate keywords in the listing so your target customer actually finds your house when they start their search. You also do not want to add weird or fancy characters in the title or put the title in ALL CAPS. ALL CAPS SOUNDS LIKE YOU ARE SHOUTING AND IT MAKES YOU LOOK LIKE A USED CAR SALESMAN. DON’T DO IT. THANKS. 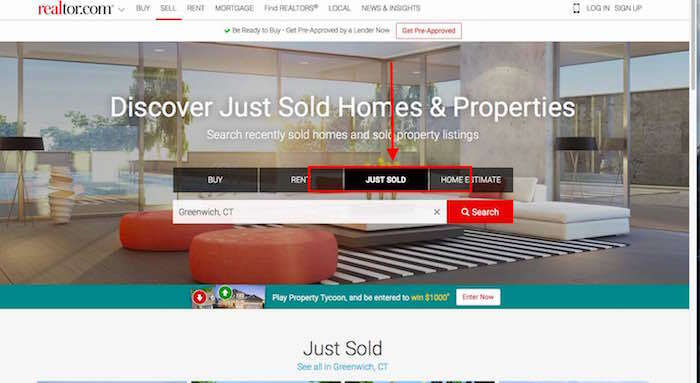 Unlike with Zillow, you will also likely have to keep reposting your ad to see results. The best time to post is around 10 AM on the weekends or around 5 PM on weekdays. According to research, Tuesday/Wednesday/Thursday seems to be the slowest days for getting traffic from your post. Facebook is a great way to keep in touch with friends and family. It’s also a great way to sell things. For as little as $5 per day, you can get your house in front of hundreds (or even thousands) of your neighbors using geo-targeted ads that only show up in the newsfeeds of people that live within a few miles of you. The first thing you’ll want to do is create a dedicated page for your house so you can start running ads. You can make it a local business if you want your address to be prominently displayed, with hours you are available for showing. After you’ve created your Facebook page, you’ll want to create a new ad. The ad should be asking people to participate in some way with the post. You could ask people their opinion of the house, what they would do to change it, or what they think it’s worth. Getting more likes and comments on the post is going to drive up it’s organic exposure–making it more visible to your neighbor without paying extra for that exposure. The goal is to use the engagement on the post to get it to spread without additional money as much as possible. What you don’t want to do is simply post a “hey my house is for sale” post. Sure this might actually do ok, but it won’t get any organic reach at all and that makes it a more expensive strategy. Your main goal when showing your house is to turn showings into offers. And you won’t do this by selling during the showing. The buyer is creating a picture in their mind about what it would be like to live in your house. They can only do this if you get yourself out of the way. The listing and the marketing has already done the heavy lifting for you. I won’t sit here and tell you that you need to tidy the place up when people come over, you already know that. But a lot of people make the mistake of trying to sell. Just sit in the kitchen and be available when they have questions. It sounds too simple to be true, but it’s the best thing you can do. After you’ve secured a buyer–pat yourself on the back. You’ve gotten past where many FSBO sellers fall short. The next steps will require third party professional help to get the deal done. The title company is one of the most important pieces to the puzzle for a deal. They typically keep the buyer’s earnest money deposit, collect the money from either the buyer’s bank or the buyer directly, and transfers the actual title to your house to the buyer during the closing. They also transfer the money to your bank account when the deal closes. The attorney helps FSBOs with writing up the contract and often has great input on other aspects of the deal. A great lawyer charges $2K or less for a typical deal, so don’t think you have to ever spend more than that–you’ll likely pay way less than that. Some states require a lawyer to close a deal. Many do not so that’s up to you if you want to use one. I recommend using one for the peace of mind, which is well worth the fee. They are also very used to working with FSBOs so they can help you steer clear of any trouble. You can go online or call up the bar association in your state to get a list of licensed attorneys in your area that specialize in real estate law. Going through the bar association ensures you’re getting a properly licensed attorney right from the start. Be careful of lawyer referral sites that attorneys pay to get to the top of the list. They may not actually be great lawyers and they are paying for your lead, so use your best judgement. A deal contingent on financing means that the buyer can back out of a deal if they fail to secure the financing from the bank. As the seller, there is always a risk that the deal doesn’t close because the buyer couldn’t get a loan. This is why pre-approval letters are great to see before you accept an offer on your house. The home inspection can break a deal. The buyer almost always requires this contingency because they don’t want to buy a house with a ton of issues. In order for the contract to have any teeth, the buyer will need to put money behind it. This is called an “earnest money” or “good faith” deposit. This money is held in escrow until the deal closes and it’s meant as an assurance to you that the buyer is serious about buying your house. The amount of the deposit can technically be anything, although it is somewhere around $500-$1K in a normal market or up to 2-3% of the sale price of the house in hotter markets. If you’re totally unsure of how much to ask for, $1K seems to be standard for many areas. The deposit is not the same as a down payment. The down payment is paid at closing, where the deposit is paid before the closing to add “financial consideration” to the contract. Remember, I’m not a lawyer so talk to a licensed attorney if you need help with specifics. There are a ton of ways you can get exposure to your home when you list FSBO. Make sure you’re at least on Zillow and Craigslist to start. You can also leverage virality metrics to get your post on Facebook seen by more people in your local community without spending more money on ads. If you follow Gary Halbert’s techniques for copywriting, you’ll have a much more compelling listing that will convert those eyeballs into showings. Once you’ve got them in the door, don’t be too pushey and let them look around the house themselves. But available to answer questions but don’t be overly talkative. When you get a buyer that is ready to pull the trigger, familiarize yourself with the deal process and consult an attorney if you need help. Good luck and don’t hesitate to email me using the contact forms if you have any questions.